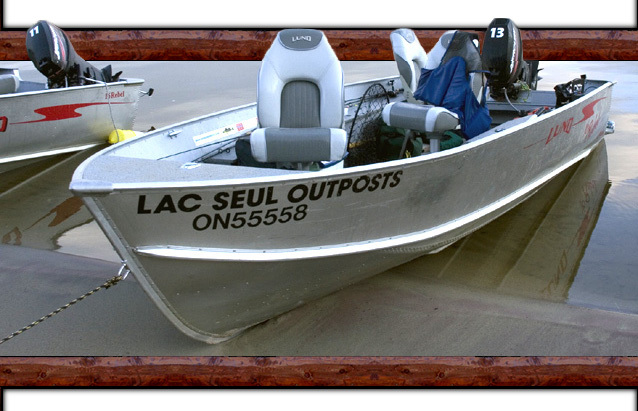 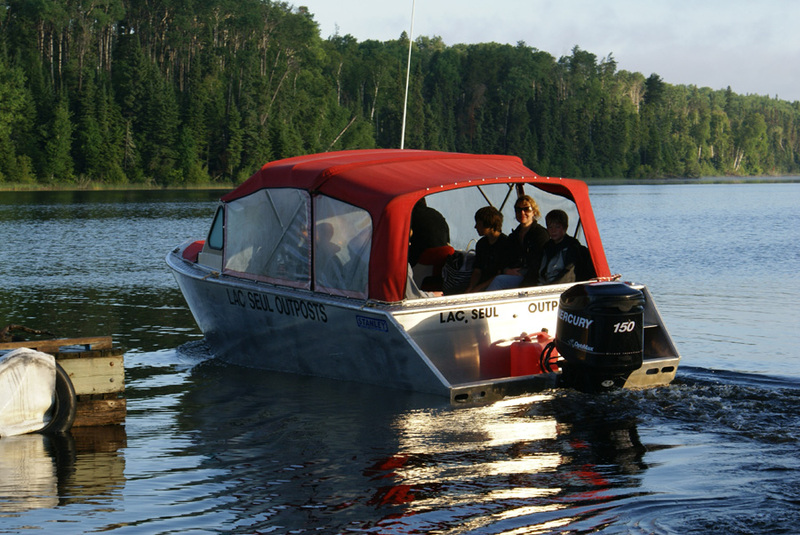 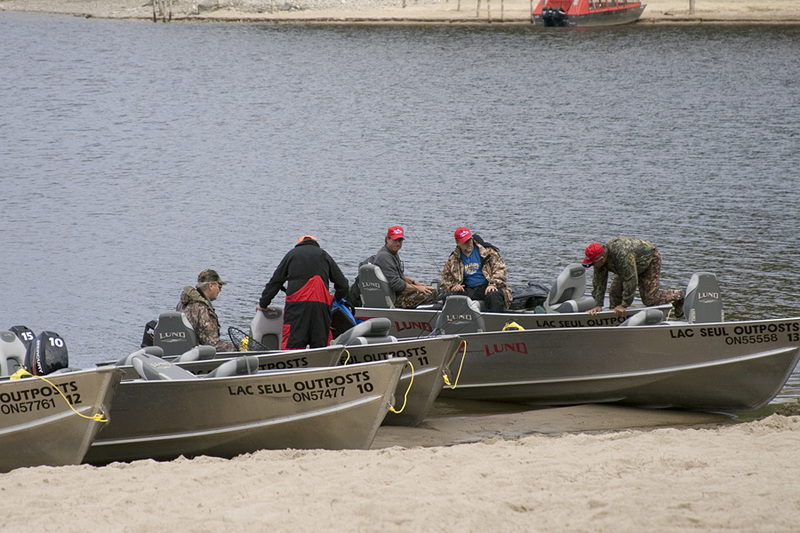 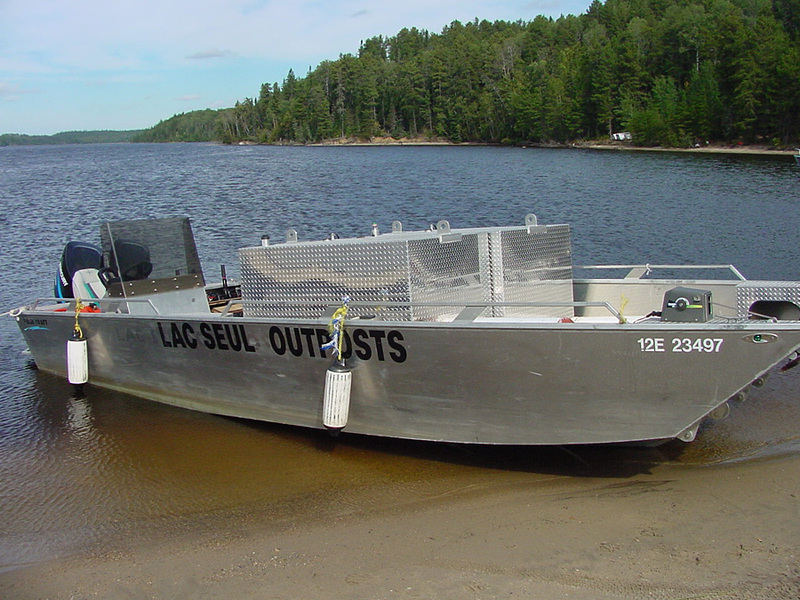 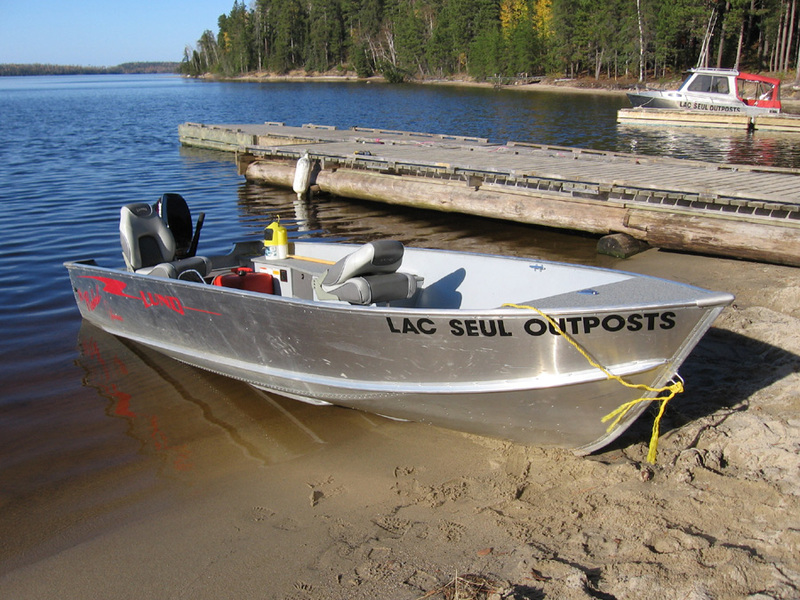 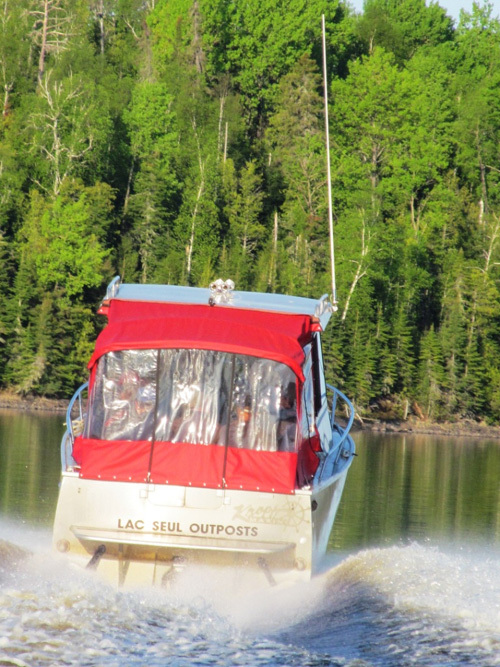 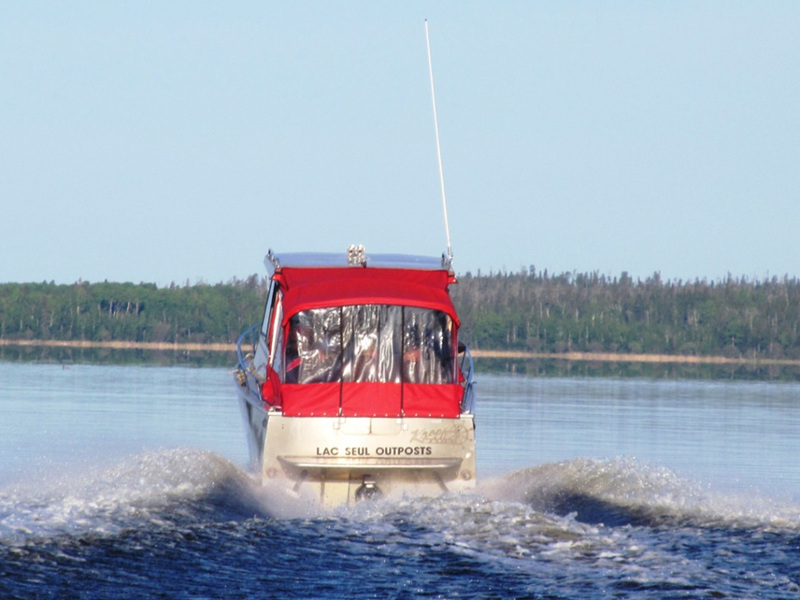 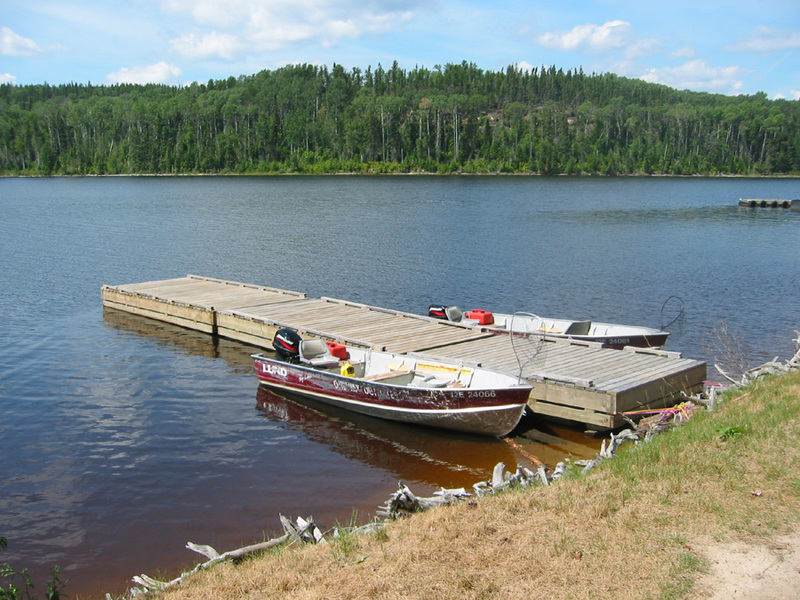 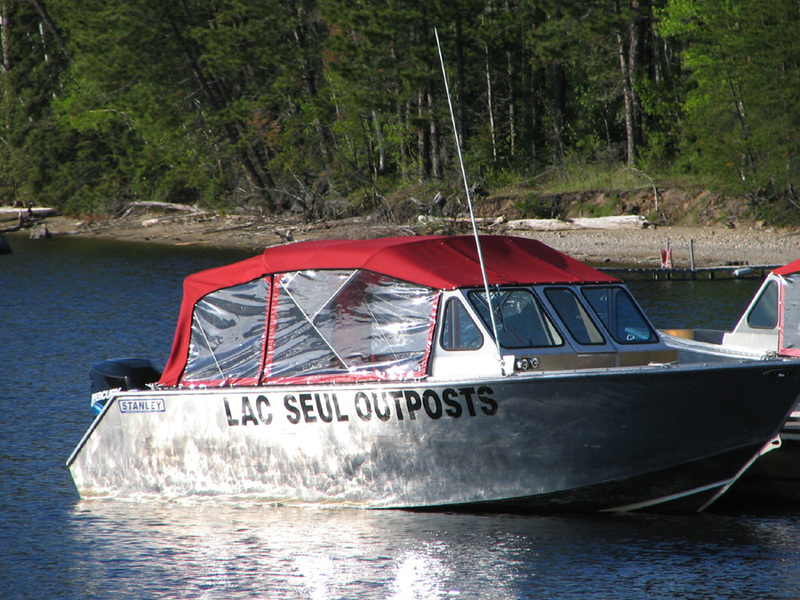 The camp boats that will be at your disposal if you are using our equipment are 16' Lunds with 30 H.P. 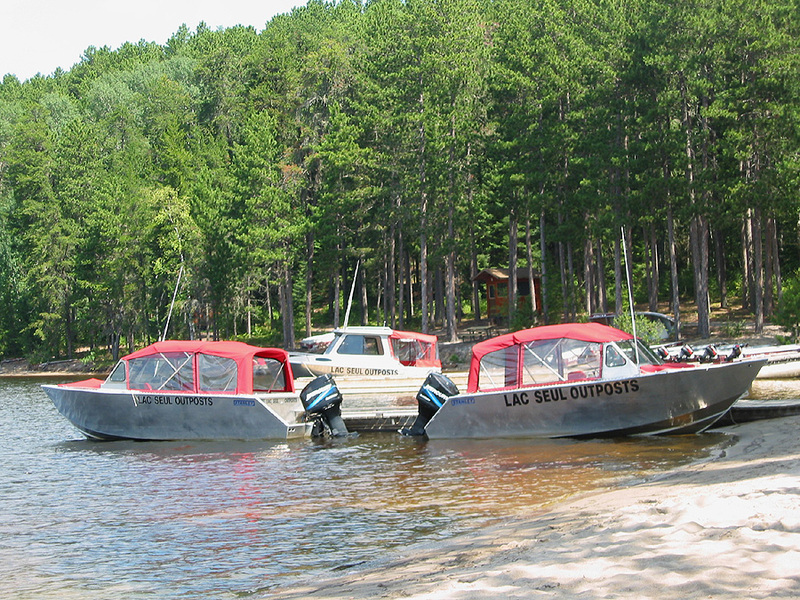 4-stroke Mercury outboards. 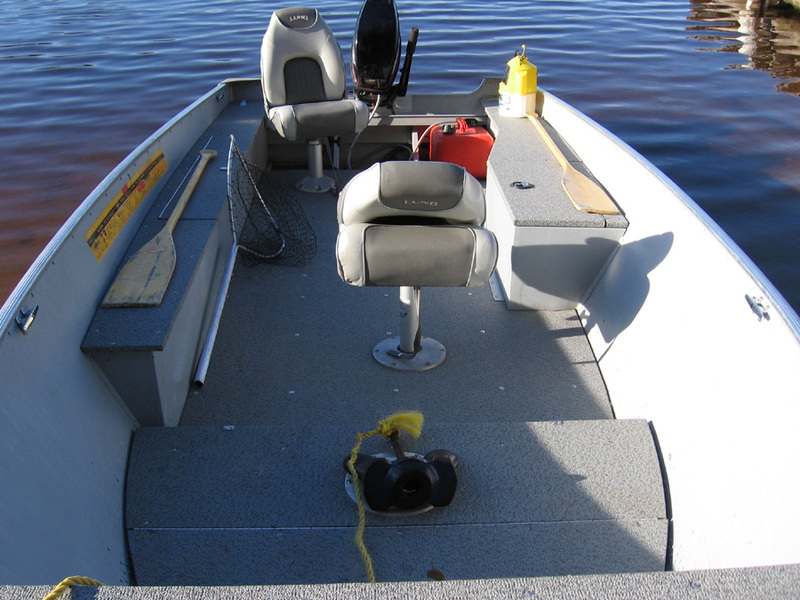 They are equipped with cushion swivel seats, which make for a comfortable day on the water. 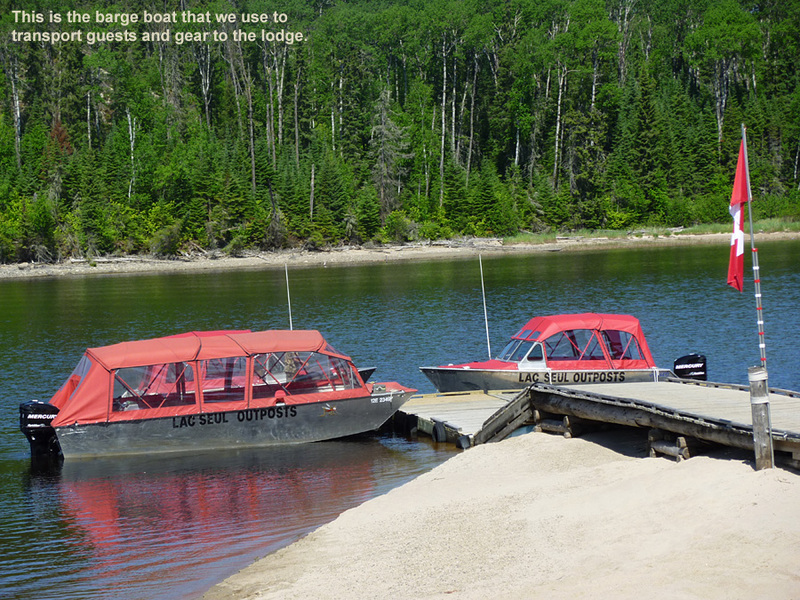 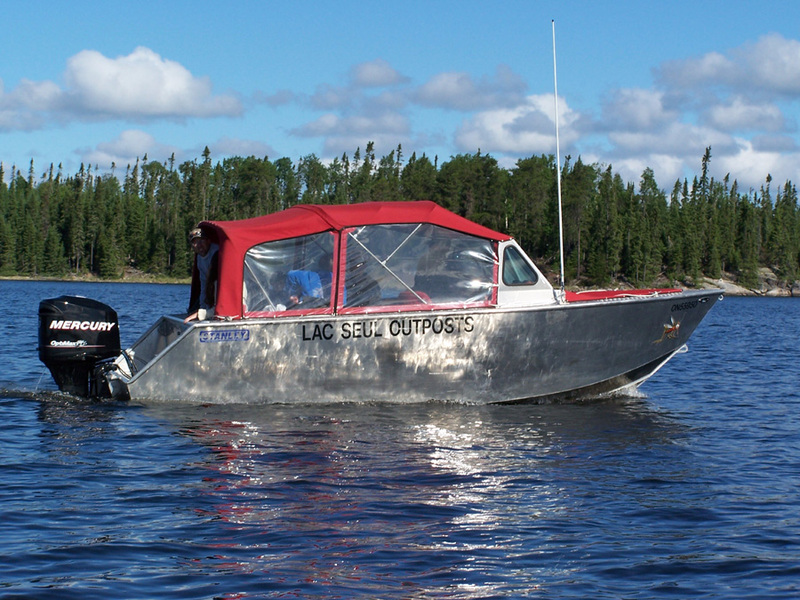 They come equipped with a net, minnow buckets, anchor and 5 gallons of gas per day as part of the rental. 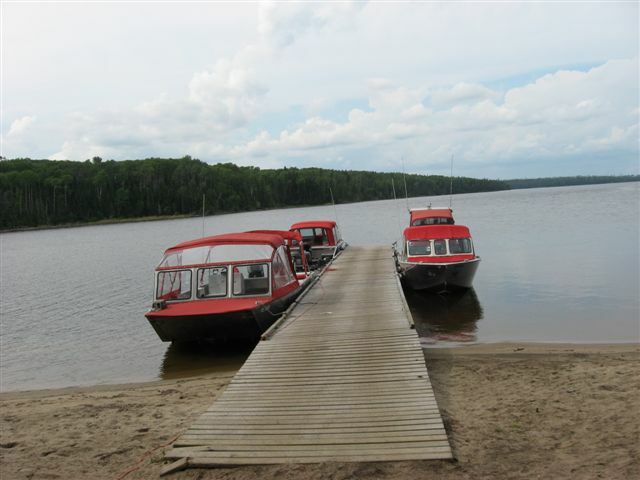 Below are pictures of the barge boats. 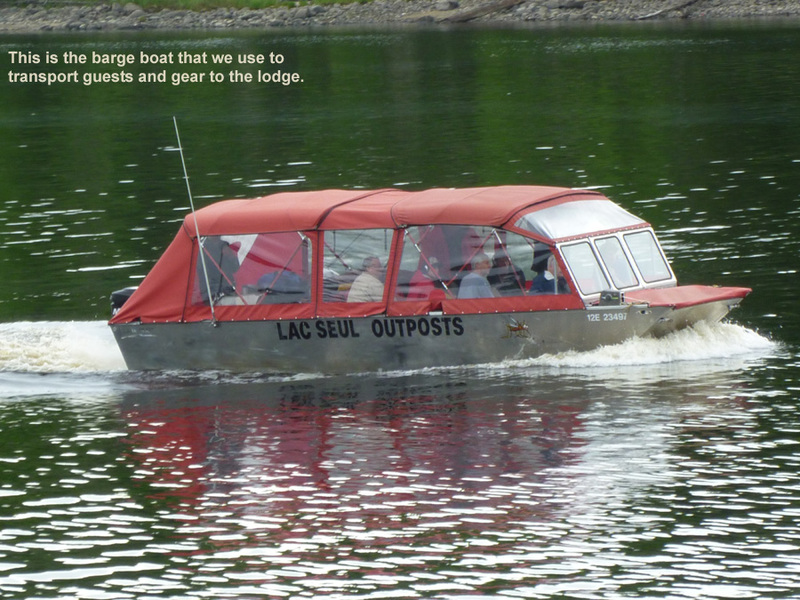 We use this to comfortably transport guests and their gear to and from the lodge. 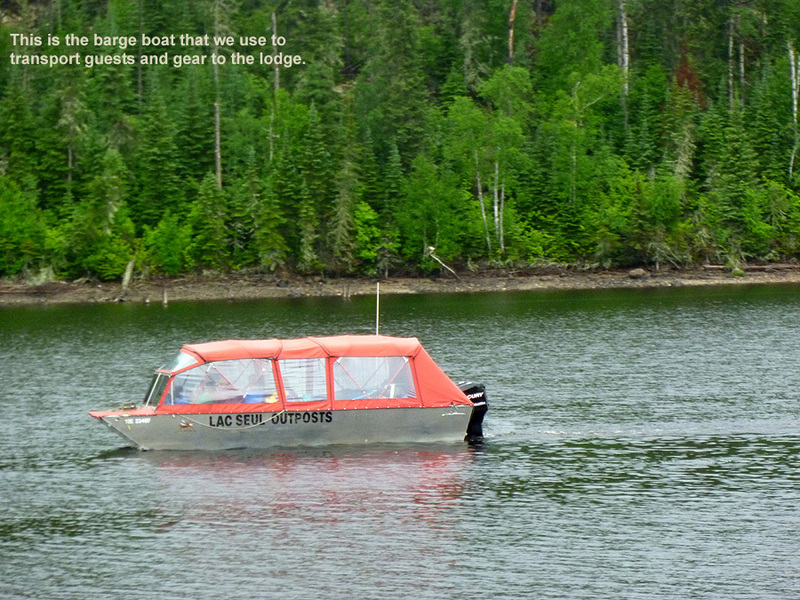 The boat ride to the lodge can be a lot of fun. 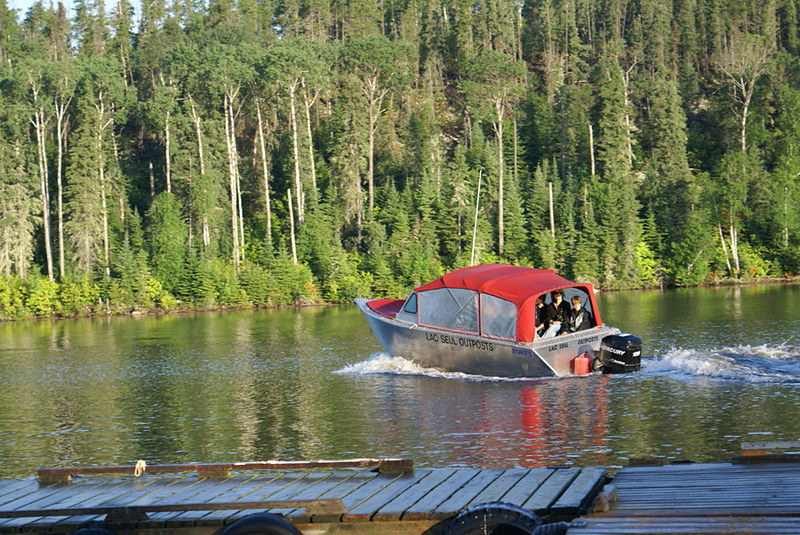 The scenery is spectacular and we can point out the hot fishing spots. 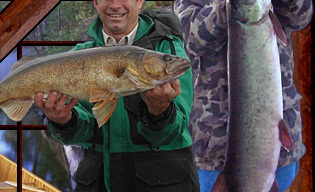 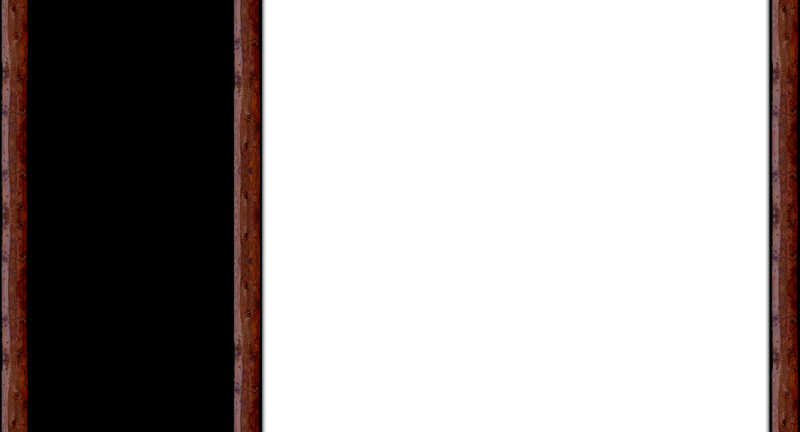 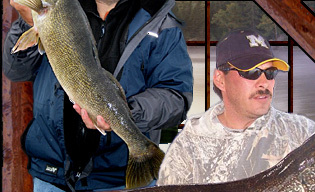 It's also a good time to go over what the fish are hitting and get you prepped for the best fishing trip of your life.